De Sica’s Lost Masterpiece “The Garden of the Finzi-Continis”. Vittorio De Sica began his life as a dashing Italian matinée idol, waltzing his way breezily through what came to be referred to sniffily as their white telephone films of the 1930s. 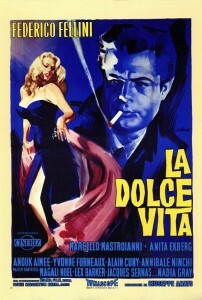 But when he emerged as a director in the 1940s, he made some of the most influential films in Italian Neo-realism. Films like The Bicycle Thieves, Miracle in Milan and Umberto D are today seen as archetypal examples of the genre. They followed non-professional actors, in real locations as they tried in vain to come to terms with life in a post-war and poverty-ravaged Italy. All serious film makers in Italy began in the neo-realist mode in the 40s, 50s and 60s. And they all of them almost immediately abandoned it in favour of their own personal version of its exact opposite. So Fellini moved to the multi-dimensional, overtly theatrical and gloriously colourful archetypes of 8½ and Amarcord. Visconti to the meticulously mannered melodrama of Senso and Death in Venice. And Antonioni to the measured formalism and the carefully crafted sculptural structures of the Monica Vitti trilogy. Only Rosellini stayed the course, hence the somewhat ossified feeling to most of his later films. 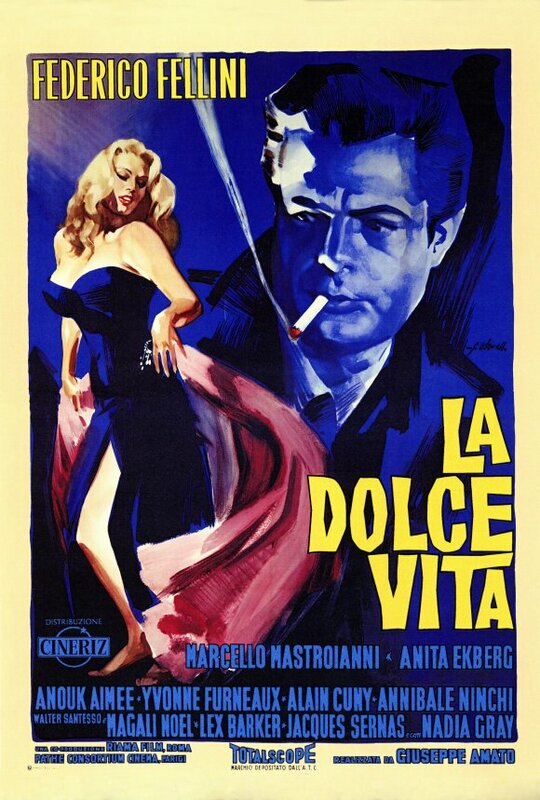 De Sica similarly abandoned neo-realism and went back to the easy-going, feel-good comedies that Italians seem to need as a reward for all the serious art they’re subjected to. 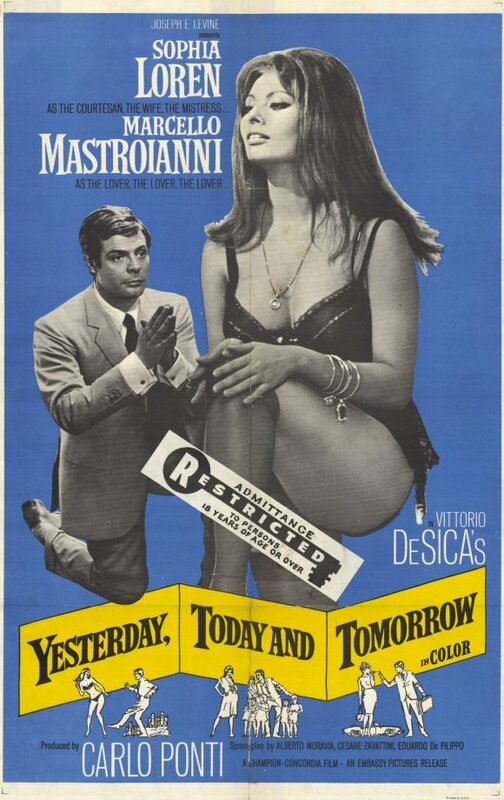 And by the 60s he was best known for films like Marriage Italian Style, and Yesterday, Today and Tomorrow starring Marcello Mastroianni and Sofia Loren. Though both, it should be noted, are significantly more sophisticated than they appear. 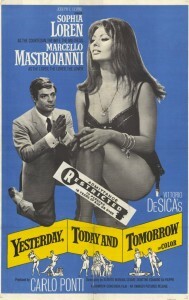 And De Sica’s own colourful marital arrangements, together with the need to fund his gambling habit, were at least partially to blame for his return to the more commercial arena. But as he neared the twilight of his career, he once again felt the urge to produce something of a bit more substance. 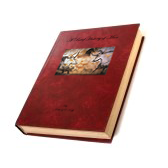 And for ten years after it was published in 1962, he carried the Giorgio Bassani novel The Garden of the Finzi-Continis around with him, until finally he was able to raise the money to get it made. The film stars Dominique Sanda and Helmut Berger (who were contractually obliged to appear in all Italian art-house films at the time) as the two children of an impossibly wealthy and blissfully cultured Jewish family in an Italy as it moved inexorably towards the II World War, with all that that would mean for its population of Jews. What it does so well is to marry what script guru Eoghan Harris calls the private and public axes. Along the private axis, you have the Giorgio character, as he tries forlornly to pursue the obscure object of desire that is la Sanda. She is unattainable on every conceivable level. And yet clearly, there is a profound connection between them. What is it that holds her back? Whilst along the public axis, you have Giorgio’s father, a hard working Jewish business man and a loyal Italian. And, like so many others, all he wants is to fit in. So he joins the Fascist Party. And he and the community of Jews that he is a part of look on in horror as the reality of the era into which they were born slowly begins to dawn on them. Beautiful is not a word I use very often. I’m with MacLiammoir on that. Like love and genius, it’s been hopelessly debased from being over-used. But this is that rare exception, a genuinely and heart-breakingly beautiful film. It’s De Sica’s love letter to doomed youth. And it’s hopelessly and exquisitely beautiful. It’s out now, finally, on DVD. And you should also have a look at the interview with his son, Manuel, who composed its score. He correctly laments the film’s one, minor flaw; the un-necessary montage that the films briefly ends with. 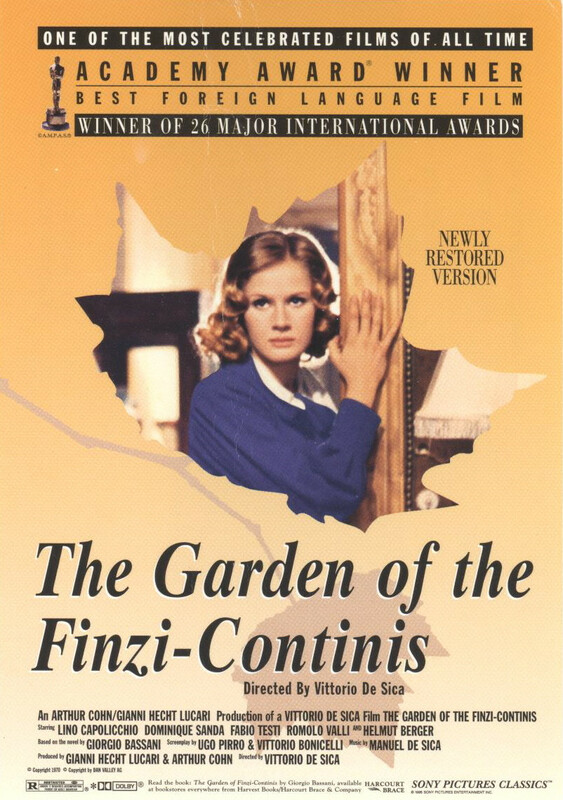 But those few stray frames aside, The Garden of The Finzi-Continis is a quiet masterpiece (another one of those over-used words), and it demands to be seen. Sign up for a subscription right or below, and I shall keep you posted every week with All the Best and Worst in Film, television and Music. If you want your pick of the finest, organize your schedule to become open inside the fall. one of the basics, from buildings and units to diplomacy and subterfuge. Greycells has caters to the rapidly”expanding field of finance education through Business India Institute of Finance (BIIF), Delhi. Conclusion – Carriers will have no choice, but to cut carrier subsidies around the i – Phone, that may undoubtedly impact the sales volume of the i – Phone. Its of storage space is 16 GB which may not be expanded using micro SD slot cards.